My experience in school was much like Georgia Heard’s, and information writing has thus far remained my least favorite type of writing to do and teach. 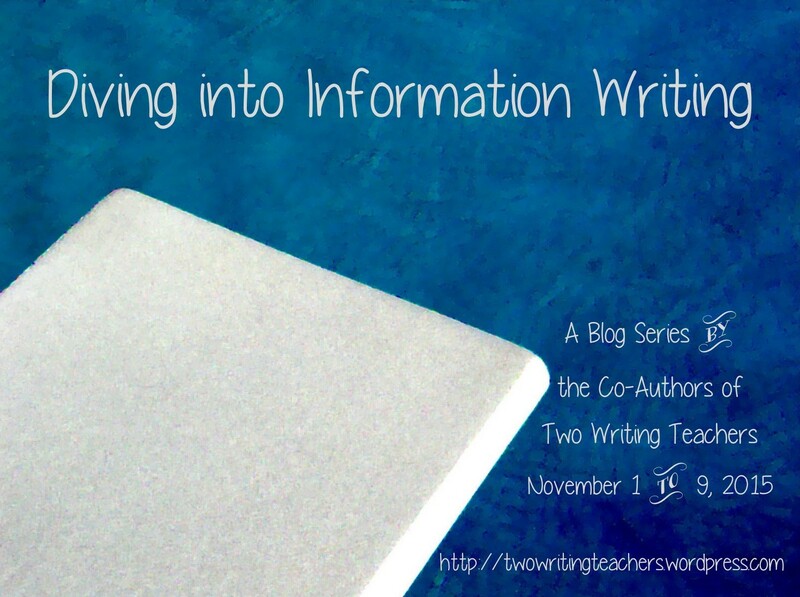 Truth be told, when the Two Writing Teachers team selected information writing for this blog series, my story-loving heart sank a little. Information writing? Bor-ing! And as this post drew closer, my anxiety increased. Since information writing has not been my go-to genre, I felt ill prepared to discuss it. What WOULD I write about? And therein lies the beauty of going out of your comfort zone and pushing yourself to learn topics and genres you have previously declared “not my thing.” I scoured my bookshelves for professional texts that discuss information writing. 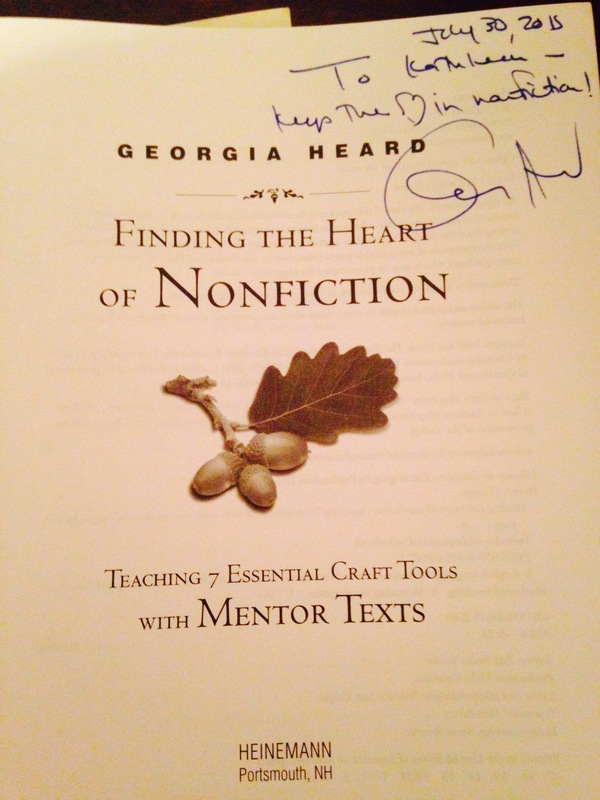 In addition to Georgia Heard’s Finding the Heart of Nonfiction, I also rediscovered Georgia Heard and Jennifer McDonough’s A Place for Wonder: Reading and Writing Nonfiction in the Primary Grades, Tony Stead’s Is That a Fact? Teaching Nonfiction Writing K-3, and Classroom Interviews: A World of Learning by Paula Rogovin. 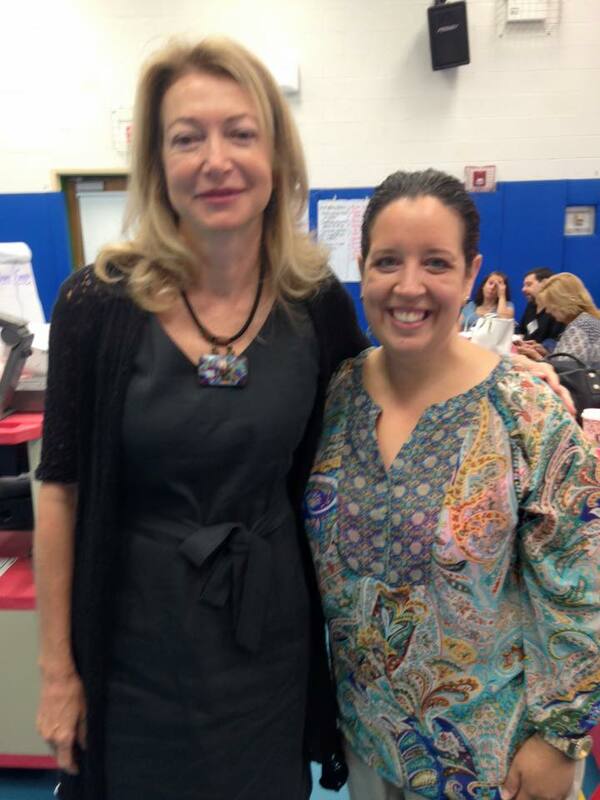 Here I am with the beautiful inside and out Georgia Heard at this past summer’s LI Literacy Institute. Check out #LILit15 on Twitter for highlights from this inspiring Summer Institute, held in Merrick, NY, coordinated by JoEllen McCarthy, Pete Gangi, and Jennifer Brady. 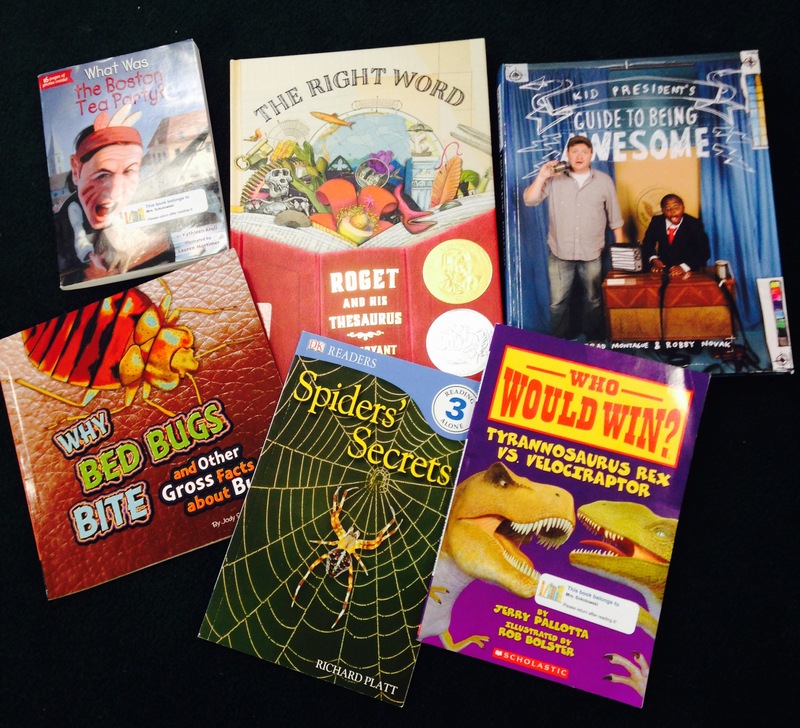 Read aloud more nonfiction: Reading and writing are so closely connected. My first step to infusing more information writing is to do more information read alouds with my class. This year, I am embarking on Donalynn Miller’s 40 Book Challenge with my third graders and I’ve been purposeful in selecting more nonfiction read alouds. After reading the book for meaning, we can return to it and notice how it is structured and how the author brings the topic to life. We can create ongoing charts of things we notice about these books and the different ways you can structure an informational text. In a crowded curriculum, selecting books that are on topics related to the content you teach will allow you to meet those standards while teaching into information writing. Interact with classroom informational magazines: This summer, I created a Donors Choose project to obtain more classroom sets of magazines. These magazines have been a wonderful way to infuse more informational reading into my students’ reading lives, which will be vital as they take on the informational writing genre. 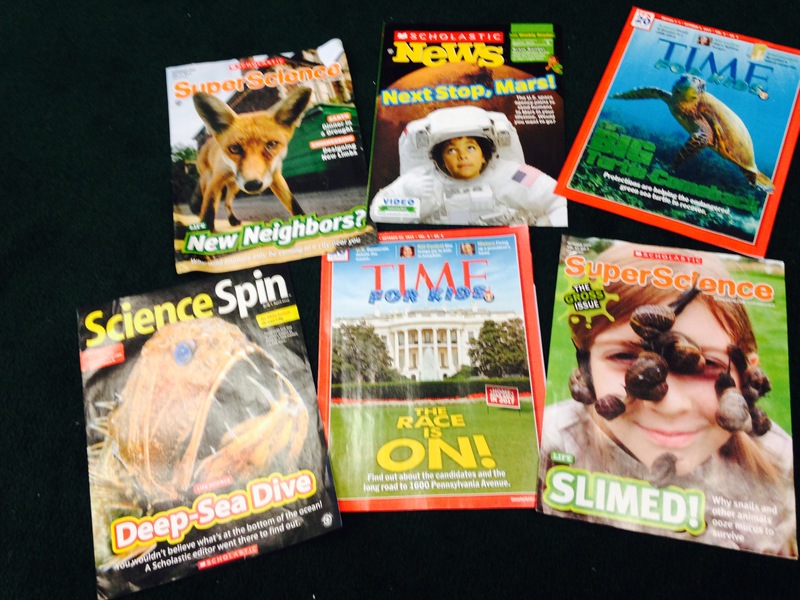 Recently, I asked students to select one article in a magazine to read and select an interesting fact to share. We displayed these on a classroom bulletin board. 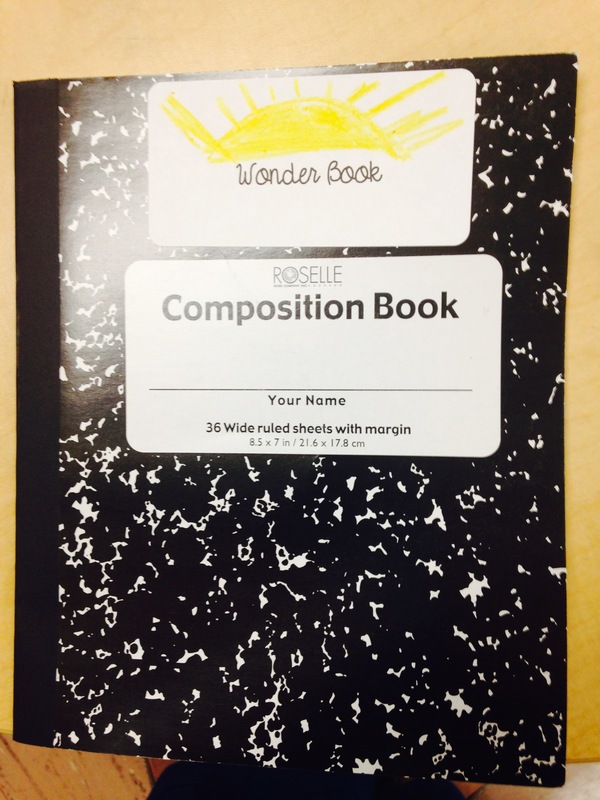 Create wonder books: Students are so innately curious and often wonder things aloud. My answer usually is, “That’s a really great question- you should research that later! Let me know if you do.” Most of the time they don’t. But what if they had a place to write down their wonder, a place to keep all their questions? Georgia Heard and Jennifer McDonough write brilliantly about ways for students to record and organize their questions In A Place for Wonder: Reading and Writing in the Primary Grades. I especially love how they separate wonders into “research wonders” and “heart wonders”- ones that are usually not going to be fully answered through a Google search. Sites like Wonderopolis would be perfect for exploring wonders and showing students mentor texts for question and answer type structures. Set up independent writing projects: Last summer, I participated in the Long Island Literacy Summer Institute (#LiLit15) in Merrick, NY. Pete Gangi, a literacy coach, presented the idea of launching independent writing projects. This would be separate from whatever ongoing unit of study students were currently in and would be driven by students’ interests and passions. Similar to Genius Hour, with more of a focus on writing, independent writing projects could be a collection of recipes, interviews, an “All About” book about a topic of interest, a biography, a newspaper….so many ideas! The scope and sequence for the school where I teach has an information writing unit beginning in February. With independent writing projects that are ongoing, students can be exploring information writing throughout the year, driven by their passions. Teachers can take one day a week and devote that to teaching into independent writing projects. Pete recommended that teachers who want to know more about independent writing projects read M. Colleen Cruz’s book, Independent Writing-One Teacher, 32 Needs, Topics and Plans. 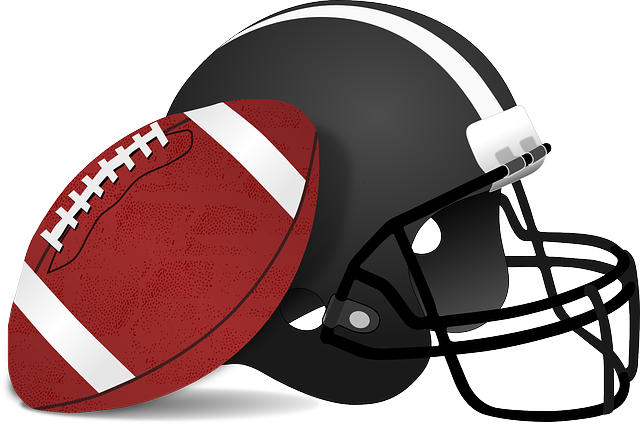 Pete also shared with me his model for an information writing piece, used for an independent writing project on Fantasy Football. Information blogging prompts: Blogs are up and running in my third grade classroom, via Kidblog. I’ve given students the freedom to select their topics and have modeled personal narrative, slice of life type writing for them. Tara’s post on trying the Slice of Life With a Twist gave me the idea to occasionally ask students to respond to a prompt on their blog. One example might be using an information mentor text, I’m Trying to Love Spiders, by Bethany Barton. Students can think about something they don’t like and research it to be able to present facts, like Bethany Barton did. They could use I’m Trying to Love Spiders as a mentor for the gross creature they wish they could love, adding voice to the work instead of just a list of facts. This could become a blog post. Other ideas could be a “how to” blog post on something the students want to teach others to do or a profile of a person they admire. –Math: Have students write their own story problems. Give them the answer and ask them to come up with a story problem. An example would be: “The answer is 6 pencils. What is the question?” Students could then explain in words how they solved this problem, step by step. Click on the picture to hear the student read this problem in an online SeeSaw journal. –Science: As students read and learn new facts about their topic, they can keep a double-entry journal, with one column being “Facts I Learned” and the other column “My Reaction.” This allows students to talk back to the facts they learned and insert feelings, emotions, and personal reactions, building deeper understanding. –Reading: Students can take time to reflect on their reading lives and set goals for themselves. They could use writing to reflect on what they are doing well and areas where they would like to grow. An alternative could be reading interviews, where reading partners could interview each other about preferences, strengths, and challenges to create a profile of a reader. –Social Studies: Students can write a 6 word memoir for historical figures or to sum up a major historical event. They could write a Facebook status update or a tweet from a person in history. Students could also write news articles, make travel brochures, and create infographics to share what they’ve learned about places, people, and events. For years, information writing has been clouded in my mind by the memories of copying random facts from the encyclopedia. What was missing then was interest, passion, and purpose. Seymour Simon has said, “I’m more interested in arousing enthusiasm in kids than in teaching the facts. The facts may change, but that enthusiasm for exploring the world will remain with them the rest of their lives.” If I keep that at the heart of my teaching, the sky truly is the limit when it comes to the rich possibilities of information writing. Must remember Georgia Heard’s wise words: Keep the heart in nonfiction! 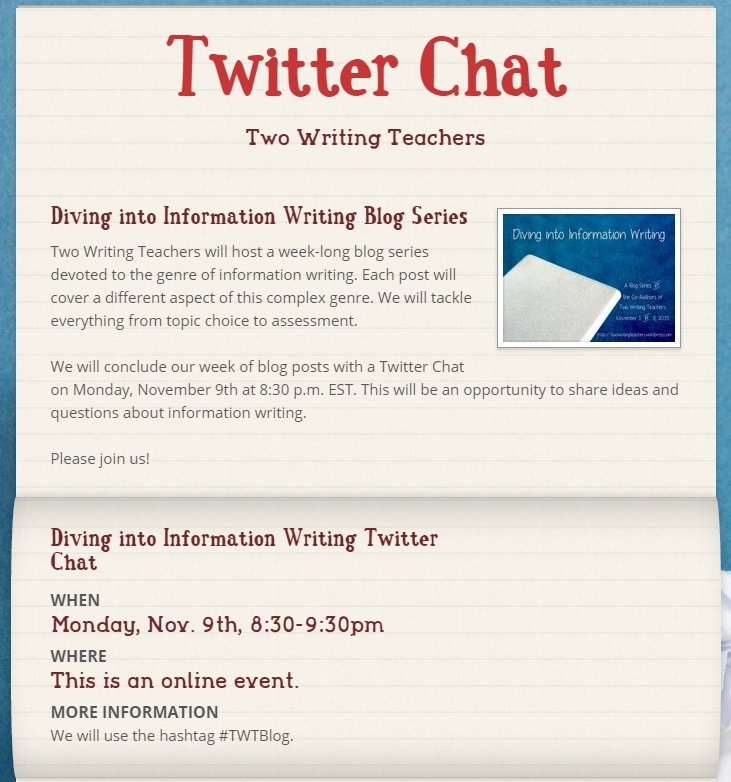 Let’s chat on Monday, November 9th at 8:30 p.m. EST, when the eight of us host a Twitter Chat about information writing. Just search and tag #TWTBlog to participate. I love the idea of having a place for their wonderings and using Wonderopolis as an example. My head is spinning, and my fingers are itching to make things happen in infusing information writing into our classroom! My first step, a wonder wall! We already love Wondeopolis, and I envision a space where kids post wonders and once a week the class picks one to explore on Wornderopolis. (Of course kids can wonder about any wonder anytime.) Subscriptions to a few magazines are also something I am considering. 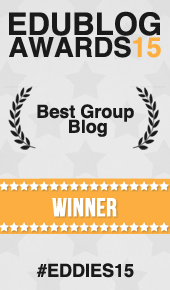 I will be back to pick up the plethora of other ideas and resources shared in this post! I loved your post Kathleen! So many wonderful ideas! I think interest, passion, and purpose are the places to start. The read-aloud, as Stacey mentioned, will drive this. I also think as we choose those read-alouds we want to find those with not only interesting and engaging topics, but also texts with interesting and engaging writing. This helps our students see that information writing can be well-crafted and filled with voice. That narrative is not the only genre within which to consider craft and engaging your readers. This also helps students move beyond copying the facts. Your students are lucky to have you Kathleen! What a thorough and passionate piece about nonfiction writing. You have clearly decided to make this a priority and are giving your students lots of options for doing the same. I found my ENL students loved nonfiction precisely because it is concrete and easier for them to understand. It was so helpful for them to have mentor texts to use when they were writing their own nonfiction pieces. I, too, love Georgia Heard’s work. How lucky you are to have met and worked with her! When I began teaching I declared that math was not my thing. However, I had to teach it. Eventually, I found TERC Investigations. Suddenly, math became something I enjoyed teaching. While it never became my favorite thing, I found a way to enjoy bringing math to life for my students. It sounds like you’ve done something similar with information writing, Kathleen. As you know, it begins with read aloud. Good for you for infusing more nonfiction in your classroom read alouds this year. That, alone, will make a huge difference! 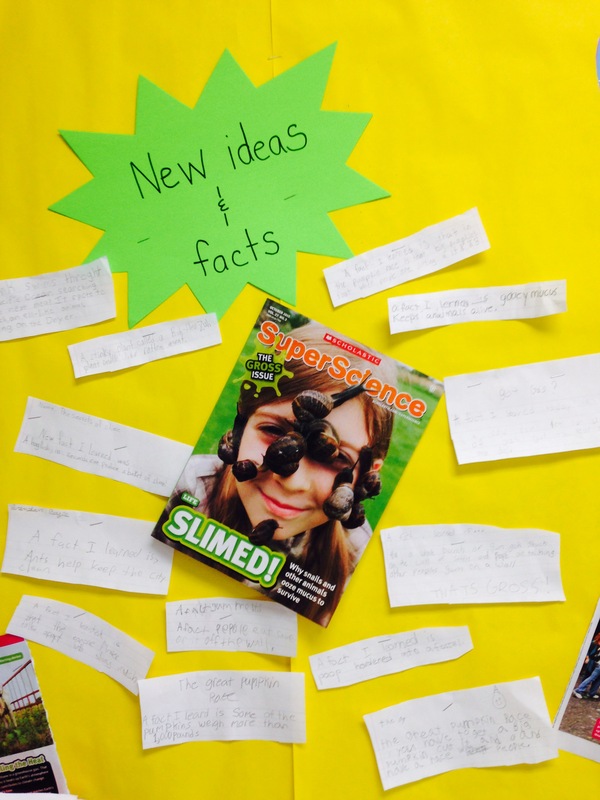 I love your ideas for integrating nonfiction writing in other areas! Perfect timing for me as we are in the midst of our first nonfiction writing unit of the year!